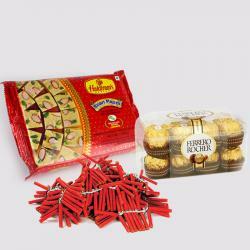 Product Consist: Box of Soan papdi (Weight : 500 Gms), 16 Pcs Ferrero Rocher chocolate Box, Assorted Fire crackers (Worth Rs.300/-) (Note: Types of Fire Cracker are depends upon their availability no specific choice). Celebrate this diwali with your love, with this unique classy style of idea. 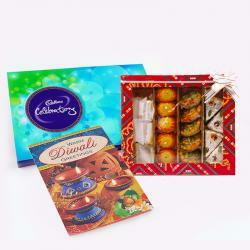 Let this diwali celebrate with special enjoyment. Fire the diwali crackers, Enjoy the Ferrero rocher crunchy taste with Sweet delight of Soan papdi bring the heart-felt wishes. 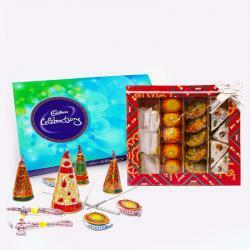 Make this diwali special for your special ones and celebrate it with family relatives. 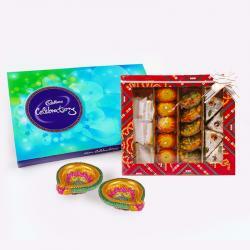 This combo has especially been design for expressing the love care and also to celebrate the family diwali day. 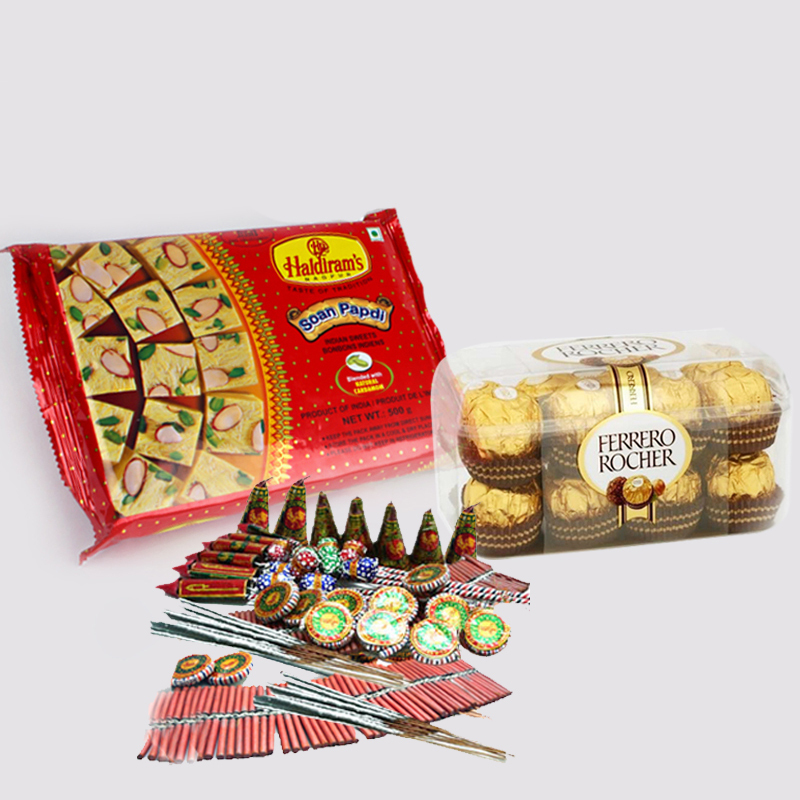 Product Includes : Box of Soan Papdi (Weight : 500 Gms) with 16 Pcs Ferrero Rocher Chocolate Box along with Assorted Fire crackers (Worth Rs.300/-) (Note: Types of Fire Cracker are depends upon their availability no specific choice).